Categories: Aerospace, Aluminum, Automotive, Furniture, Marine, Oil & Gas, Railroad, Square Tube, Truck. 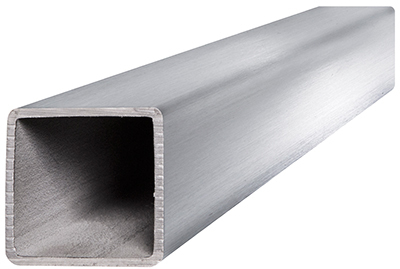 The 6063 aluminum square tube is an alloy that is highly used because of its great strength, excellent resistance to corrosion, weldability, formability and surface appearance. 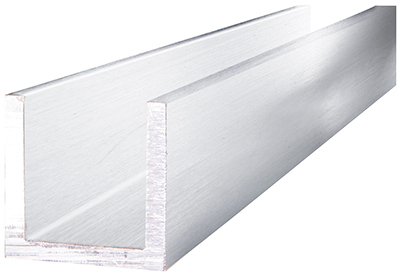 This grade of alloy also has excellent finishing characteristics, making it ideal for use in architectural applications like moldings and trimmings. This alloy can also be matched with other alloys like 5052 and 3003 with the use of anodizing. This process will also help to improve the corrosion resistance level. 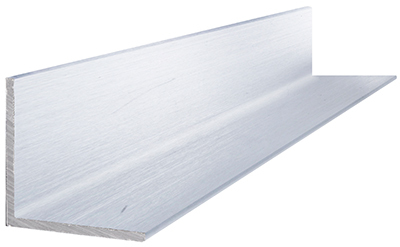 Other applications this grade of metal can be used for include furniture, doors, windows and other general structural components. The tensile strength of this metal is 27,000 psi, shear strength is 17,000 psi and the yield strength is 21,000 psi. When this metal is in the T6 condition, it has an ultimate tensile strength of 35,000 psi, ultimate bearing strength of 62,900 psi, fatigue strength at 10,000 psi and bearing yield strength of 40,000 psi. The machinability of the T6 and T4 condition 6063 alloys is between 50 percent and 80 percent compared to 2011 at 100 percent. Different forms of heat treatment can be used for this grade of aluminum, such as annealing, solution heat treatment and aging precipitation heat treatment. When annealing this alloy, it should be done continuously for between two and three hours at 775 degrees F, then the temperature should be reduced to 500 degrees by gradually lowering it by 50 degrees every hour. Solution heat treatment can be done to this metal using a temperature of 970 degrees F. When aging precipitation heat treating 6063 aluminum, it’s recommended that the temperature be held at 350 degrees F for eight hours.